Concept cars shine just long enough to showcase what’s possible but not currently available in terms of design, technology and performance. When they become unfashionable, they’re generally sent to a warehouse where they gather dust with other one-offs and might-have-beens for decades on end. 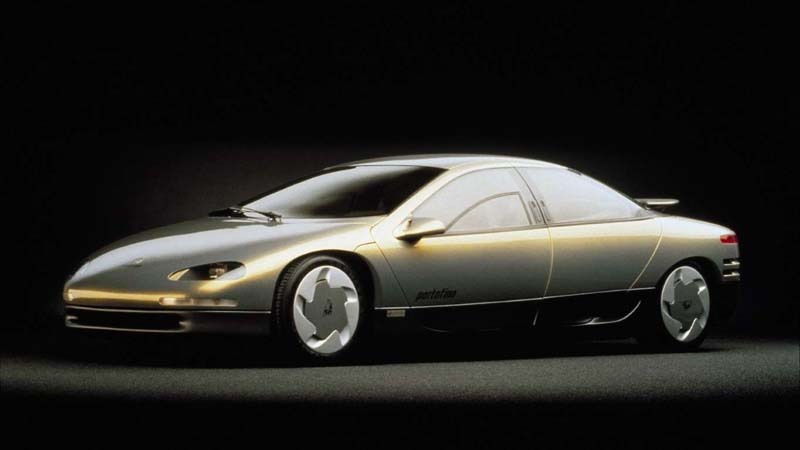 We’ve explored the pantheon of forgotten concept cars and selected some of the models we would have liked to see make the transition to production. Some are simply cool, while others represent missed opportunities for automakers. Extremely quick and technologically innovative, the C-X75 could have fueled Jaguar to the upper echelons of the automotive industry. It would have picked up where the mighty XJ220 left off. The company’s decision-makers knew this so they proudly announced a production run strictly limited to 250 units and a correspondingly high price tag of about $1.1 million. 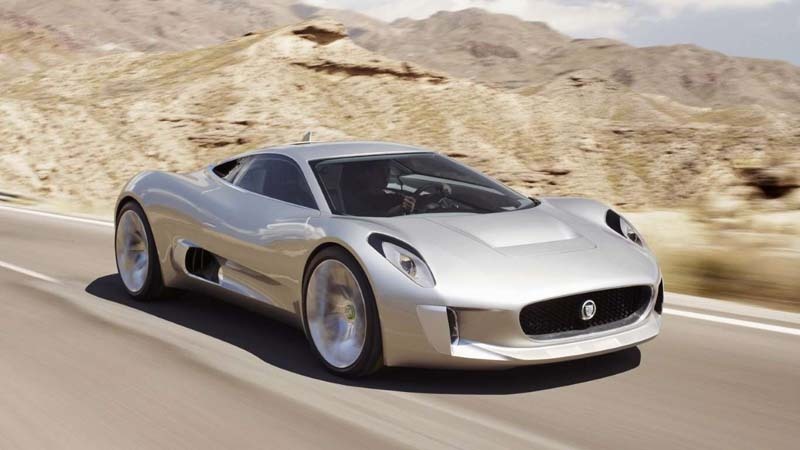 Citing the aftermath of the global recession, Jaguar canceled the C-X75 project shortly after giving well-heeled enthusiasts the hope of one day owning one. It nonetheless made seven cars (including five used for stunts) that starred in the 2015 James Bond movie Spectre. The BlueSport concept was a two-seater, mid-engined roadster with a Volkswagen emblem on its nose. In other words, it was a Porsche Boxster for the working class. If built, and its chances of reaching production were spectacularly high at one point, it would have propelled Volkswagen into a new segment. It would have been fairly affordable, too, because it was set to use the modular MQB platform as well as proven components (including its turbodiesel four-cylinder engine) borrowed from the Golf and the Polo. Volkswagen claimed it needed to sell 40,000 to 50,000 examples of the roadster annually for it to make sense. After a long period of hesitation, executives called off the project in the early 2010s due to a perceived lack of demand. 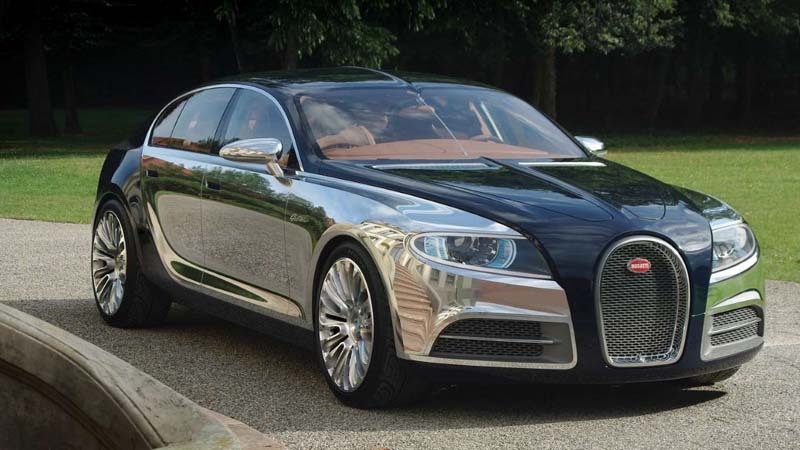 Selling a 16C Galibier-inspired four-door model alongside the Veyron would have made the Bugatti brand accessible to a slightly different type of buyer. We’re not talking about diluting its hard-earned image or stepping down into lower segments of the market. The 16C could have been just as rare, powerful and expensive as the Veyron while offering space for four passengers. As of 2018, Bugatti is open to the idea of launching a four-door model but it hasn’t revealed what form it will take yet. 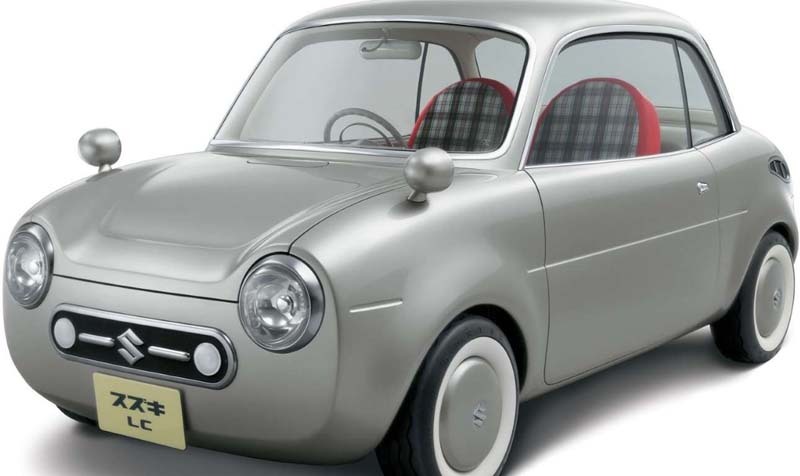 Cute as a button, the Suzuki LC concept unveiled at the 2005 Tokyo auto show was a modern interpretation of the Suzulight, the company’s very first car. It was designed to comply with kei car regulations in Japan. Suzuki missed a golden opportunity by not turning it into a production model. Made slightly bigger, the LC could have competed against the Fiat 500. 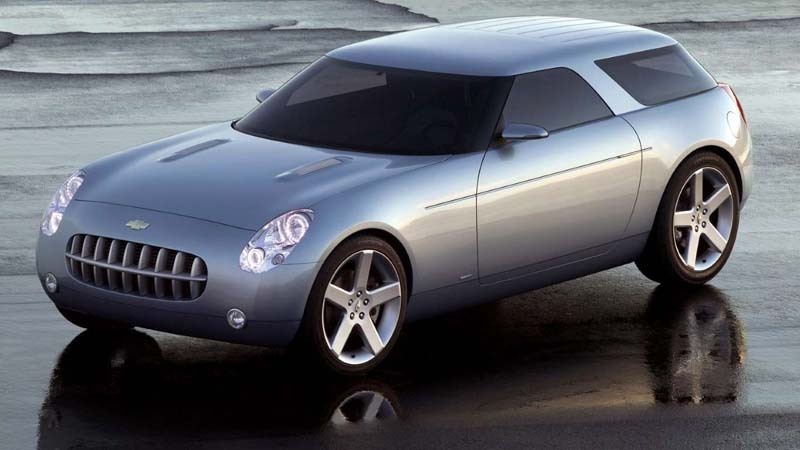 Chevrolet made headlines in 1999 with the Nomad concept, a sporty shooting brake built on a Camaro platform. It tugged at enthusiasts’ heartstrings with a design that borrowed styling cues from the Bel Air-based Nomad made in the 1950s. Many assumed the 2004 Nomad concept – which was completely redesigned to channel the eponymous design study from 1954 – finally previewed the production model. Chevrolet had approved wilder models for production, like the SSR. The Nomad looked tame in comparison and it would have let the firm continue to surf the retro wave sweeping across the automotive industry. Building it would have been cost-efficient because it would have shared mechanical parts with the Pontiac Solstice but Chevrolet couldn’t make a business case for a retro, rear-wheel drive grocery-getter. In the early 2000s, Buick’s line-up looked as stale as a week-old pint of Miller Lite. 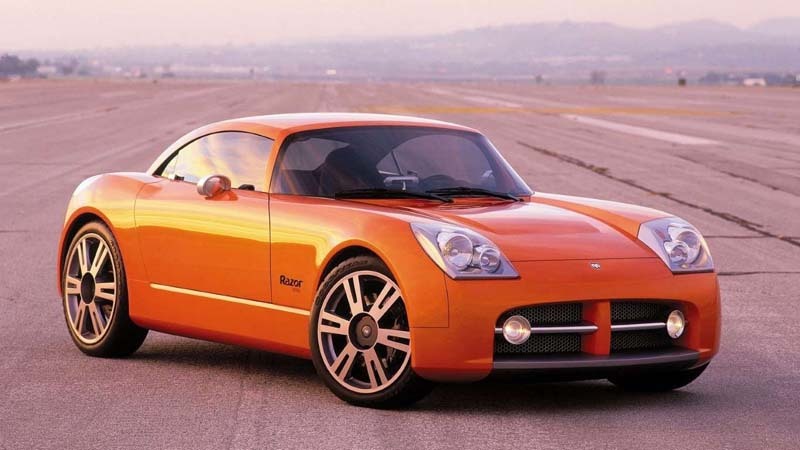 The 2004 Velite concept embodied one way the firm could add much-needed allure to its line-up. It was a convertible, a body style that had been absent from the Buick portfolio since the Reatta's demise in the early 1990s, and it looked much sharper than the retiree-friendly models the brand was building at the time. The Velite remained a concept – parent company General Motors’ shaky financial situation certainly didn’t help its cause – and Buick’s customer base continued to age. Buick returned to the convertible segment in 2016 when it introduced the Opel-sourced Cascada. Buick Velite (2004) In the early 2000s, Buick’s line-up looked as stale as a week-old pint of Miller Lite. 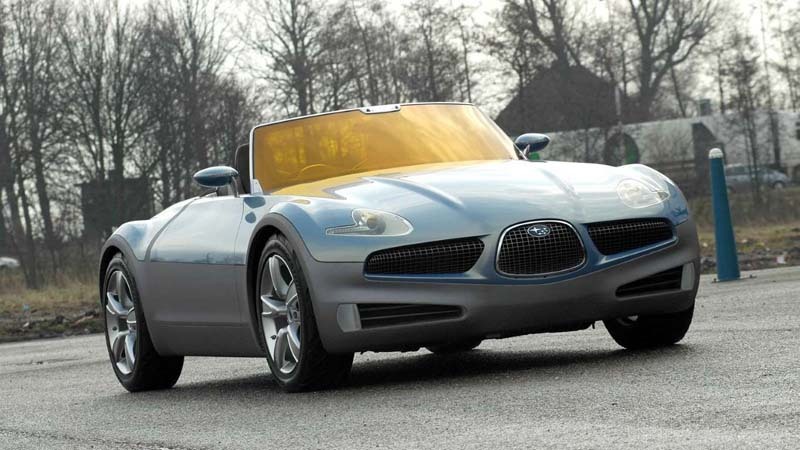 The 2004 Velite concept embodied one way the firm could add much-needed allure to its line-up. 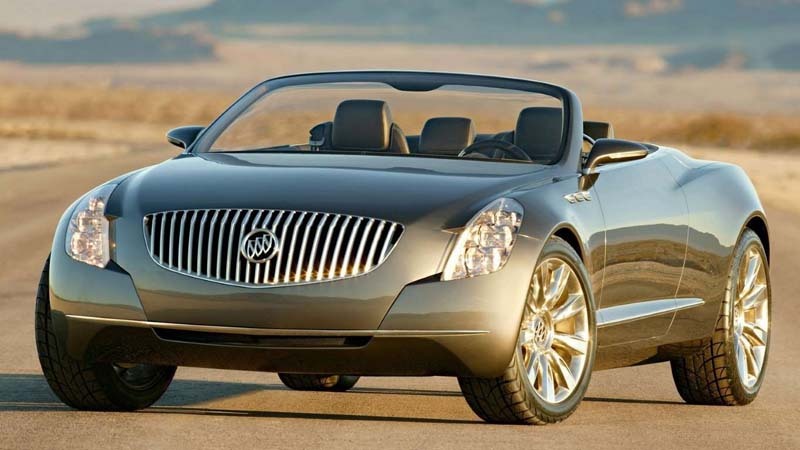 It was a convertible, a body style that had been absent from the Buick portfolio since the Reatta's demise in the early 1990s, and it looked much sharper than the retiree-friendly models the brand was building at the time. Mazda’s headquarters fell silent when Subaru introduced the B9 Scrambler concept at the 2003 Tokyo auto show. 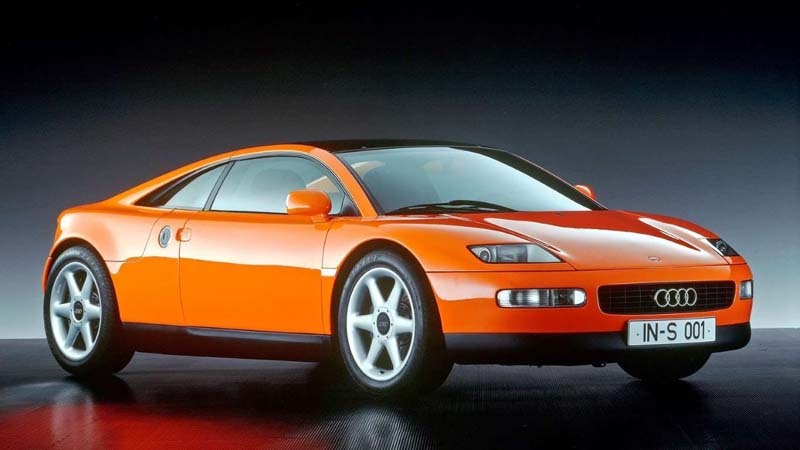 The shapely roadster alluded to what an alternative to the MX-5 Miata could look like. It differed from its would-be rival by offering all-wheel drive (a Subaru staple) and a hybrid drivetrain made up of a 138-horsepower four-cylinder engine and a 134-horsepower electric motor. Officially, the B9 Scrambler provided a preview of Subaru’s next design language. There is little indication decision-makers seriously considered the B9 Scrambler for mass production. Subaru resurrected the B9 nameplate in 2005 on the Tribeca SUV and it entered the compact sports car segment when it launched the BRZ in 2012. 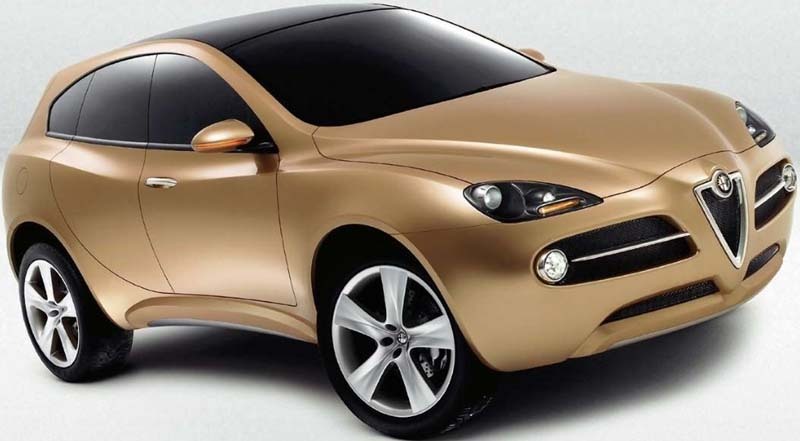 Perhaps inspired by the Porsche Cayenne and the BMW X5, Alfa Romeo demonstrated a surprising amount of foresight when it unveiled the Kamal concept at the 2003 Geneva auto show. It showed the company’s idea of a quick, sporty SUV capable of holding its own off the beaten path. The Kamal’s drivetrain consisted of a V6 engine tuned to send 250 horsepower to the four wheels through three differentials. The Kamal could have arrived in showrooms in time to grab a significant share of the then-burgeoning luxury SUV segment. While insiders suggested the concept was on its way to production, it didn’t get past the design study stage. Alfa didn’t enter the luxury SUV segment until it introduced the Stelvio in 2016. 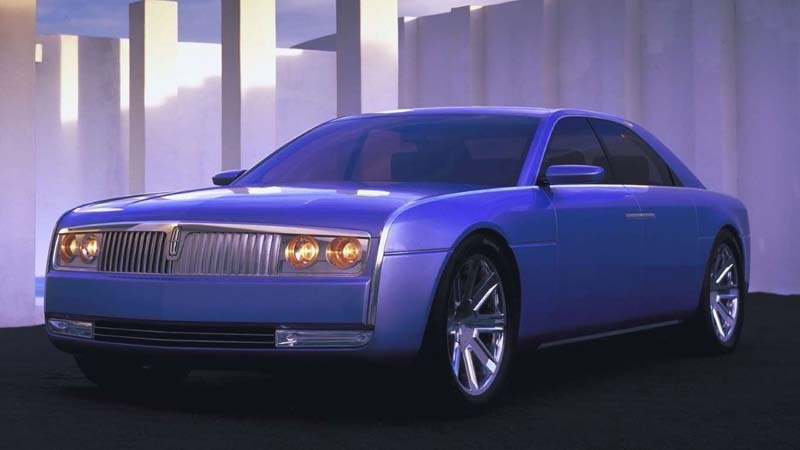 The Continental was one of several concepts Lincoln introduced in the early 2000s in a bid to prove it hadn’t become irrelevant in the luxury car segment. With a wide grille, round headlights and suicide doors, its designed harked back to the 1960s, an era during which Lincoln provided the White House with limousines for the president and other high-ranking officials. Times had changed and the Ford-owned brand wanted to turn back the clock. Lincoln began developing a rear-wheel drive flagship sedan in the late 2000s to replace the outdated, body-on-frame Town Car. Work on what could have become a born-again Continental stopped abruptly when fuel prices sky-rocketed. The nameplate nonetheless made a comeback in 2016. Dodge sought a way to give younger buyers a reason to visit its showrooms. It teamed up with Razor, the scooter manufacturer, and developed a Mazda MX-5 Miata-like two-seater with an athletic design. Power came from a turbocharged four-cylinder engine tuned to send 250 horsepower to the rear wheels through a six-speed manual transmission. And, to really highlight the collaborative effort, Dodge replaced the spare tire with a pair of Razor scooters. The reports claiming the Razor would spawn a production model – hopefully one with a proper spare tire – named Scooter were wrong. As of 2018, Dodge hasn’t dared to invade Miata territory. We doubt it will. Never intended for production, the design study illustrated what a 21st century car could look like when stripped down to just the bare minimum. And yet, it wasn’t overly basic, outdated or grotesquely cheap. It remained stylish, in tune with the times and generally desirable. Ford missed a rare opportunity to produce what could, in 2018, be remembered as the iPhone of the automotive world. Renault simply envisioned the Fiftie as a retro-styled design study built to celebrate the 4CV’s 50th birthday. 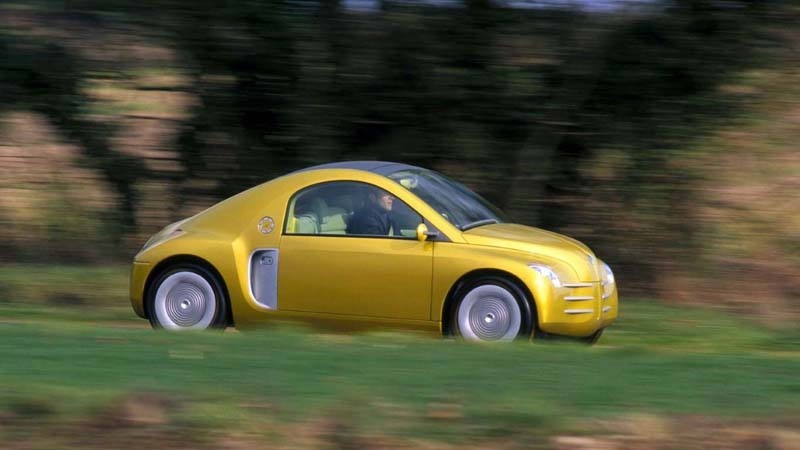 We bet that, in hindsight, the French company would move quickly to turn the Fiftie into a production model aimed right at the Volkswagen New Beetle. Renault could have even beat its German rival to the punch by moving the engine to the front and using existing components – the platform and drivetrain from the Clio, for example. All-wheel drive and mid-engined, the Audi Quattro Spyder concept is the 1990s R8 that never was. Its production-ready body hid a 172-horsepower V6 engine so it wouldn't have been nearly as quick as the R8 but its smaller dimensions would have made it nimbler. The Quattro Spyder almost joined the Audi catalog but insiders working on the car later revealed the project got canceled because they couldn’t meet the 100,000-Deutsche Mark target set by the product planning team. Chrysler made the Portofino concept largely to flaunt its acquisition of Lamborghini. Fully functional, the design study boasted two sets of scissor-style doors that opened in separate directions and a mid-mounted V8 engine borrowed from the Jalpa. If launched, it would have likely cost a small fortune and arrived as an expensive limited-edition model. It wouldn’t have been a hit, unless we’re talking about the financial hit Chrysler would have taken after developing it, but a Chrysler built on a stretched Jalpa platform would make for a fascinating classic car in 2018.